Even if journalism has always been in continuous transition, nowadays it seems to be going through a time of especial uncertainty and changes. Together with constant updating, abundance of information and innovation in the formats, genres and devices, nowadays participatory journalism represents one of the main challenges of journalism and the mass media. 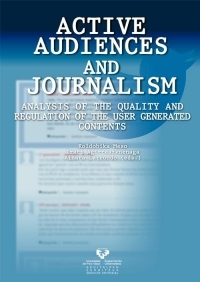 This book approaches this adaptation by analyzing different experiences and models of citizen participation and interactive journalists, besides paying special attention to the debate on the quality of user-generated content and the value of the relation between the media and audiences to strengthen the value of mediated communication.